Ann Porter, Associate Professor and Head of Music Education, University of Cincinnati. BME, The Ohio State University; MM, Western Michigan University; PhD, Florida State University. Taught public school instrumental music at various levels in Kentucky. Served on the faculty at California State University, Hayward as associate director of bands, and in the Music Education Division. Former teachers include Craig Kirchoff, Richard Suddendorf, James Croft, Clifford Madsen, and Patrick Dunnigan. Published in Journal of Research in Music Education, Instrumentalist, Music Educators Journal, Triad, and in other professional journals; served as higher education representative for the California Music Educators Bay Section Association, Pas President of Ohio Music Education Association, District 14. Active as guest conductor, clinician, and adjudicator with high school bands and with regional, district, and state honor bands. Conference presentations at national and state levels, editorial board for Ohio Music Education Research Journal, Contributions. Founder of Cincinnati Junior Youth Wind Ensemble, current conductor of High School level Cincinnati Youth Wind Ensemble. 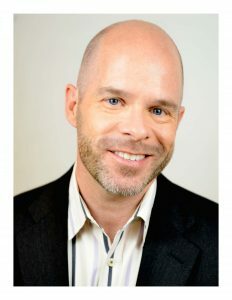 Kevin Fenton is professor of choral conducting and ensembles, and director of the FSU University Singers and the Chamber Choir. He has conducted the Virginia Tech Meistersingers (1998), the University Singers (2002, 2003, 2006, 2007, and 2013), and the Festival Singers of Florida (2012) in performances at regional and national conventions of ACDA and NAfME. A champion of new music, Dr. Fenton has conducted over thirty premiere performances. Dr. Fenton has conducted choirs in 35 states, including twenty-four all-state choirs. Additionally, Dr. Fenton conducted the ACDA Southern Division High School Honor Choir in 2008 and the Beijing International Choral Festival Choir with China’s People’s Liberation Orchestra as part of China’s Choral Conductor’s Meeting in 2007. In 2016, he conducted the Dublin International Choral Festival for Music Celebrations International and taught choral conducting and the Kenya Conservatory of music as a part of the Fulbright Scholar program. 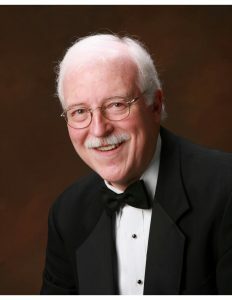 William E. Fredrickson, Professor of Music Education, joined the Florida State University College of Music faculty in 2006, having previously held positions in the Conservatory of Music at the University of Missouri-Kansas City and the College of Visual and Performing Arts at Syracuse University. Dr. Fredrickson received degrees from the State University College of New York at Fredonia Syracuse University, and Florida State University where he completed the Ph.D. in Music Education. As a public school music teacher in upstate New York he taught instrumental music at all levels, elementary through high school. A founding member of the Aeolian Saxophone Quartet, Dr. Fredrickson performed and recorded with that group for twelve years. Dr. Fredrickson’s early career interests in teaching and performing led to his research focus which includes music teacher preparation, music perception, and the affective response to music. 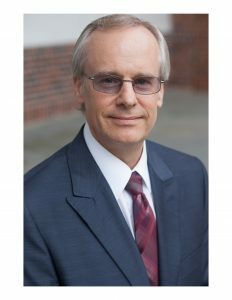 He regularly makes research presentations at state, regional, national, and international meetings of groups such as NAfME, ISME, and AMTA and is published in various professional journals, including the Journal of Research in Music Education, International Journal of Music Education, Bulletin for the Council of Research in Music Education, Psychology of Music, and the Journal of Band Research. Fredrickson recently completed a term as editor of the Jouran of Music Teacher Education and is a past editor of the Missouri Journal of Research in Music Education. John A. Thomson served for twenty-five years as Director of Bands at New Trier High School in Winnetka, Illinois. Earlier in his career, he was Director of Bands at East Allegheny High School near Pittsburgh, Pennsylvania. Under his educational leadership, NTHS and EAHS ensembles developed into premiere ensembles performing at numerous state and national events including three appearances a the prestigious Midwest Clinic in Chicago. The ensembles regularly performed with established guest conductors, accompanied well-known solo artists, and collaborated with various contemporary composers leading to sixteen world premier performances. Additionally, the New Trier Wind Ensemble successfully completed concert tours in Europe, Hawaii, and Australia. For many summers, Mr. Thomson conducted student and staff bands at Blue Lake Fine Arts Camp in Twin Lake, Michigan, and has conducted the camp’s International Band throughout Europe. A native of Pennsylvania, Mr. Thomson received his bachelors and masters degrees from Carnegie Mellon University in trombone performance and music education, where he studied with Richard Strange and Philip Catelinet. While completing course work towards a Ph.D. in Music Education at Northwestern University, he served for two years as a Teaching Assistant in both the departments of Conducting and Music Education, where he studied with John Paynter and Bennett Reimer. Currently, Mr. Thomson is an adjunct faculty at the Chicago College of Performing Arts at Roosevelt University, observes student teachers for Northwestern University, and is active as a guest conductor, clinician and adjudicator, including four All-State Band performances. He is a contributing editor and new music reviewer for The Instrumentalist magazine with multiple articles and interviews to his credit. Mr. Thomson is an elected member of the American Bandmasters Association, a multiple recipient of the National Band Association’s Citation of Excellence, and a recipient of the American School Band Directors Association’s Stanbury Award. Regional recognition includes the Chicagoland Music Educator of the Year Award, and the “Mr. Holland’s Opus” Award. He was a recipient of the Phi Beta Mu Illinois Outstanding Bandmaster Award and has been elected into that fraternity’s Band Director’s Hall of Fame at Northwestern University. He serves on the ABA Goldman Citation Award Committee, the ABA Sousa/Oswald Composition Award Committee, and the NBA Revelli Composition Award Committee. Interested in public service, he is currently a member of his community’s Human Relations Commission. Jennifer Geiger, MA, MT-BC became the President of the American Music Therapy Association in January of 2016. She has a long history of serving the profession both nationally and regionally: as AMTA Treasurer and President Elect: and a variety of positions for the Western Region Chapter of AMTA, including President, Assembly Delegate and as a committee representative for the Employment and Public Relations Committee (WRNAMT) and Student Affairs Advisory Board Advisor. 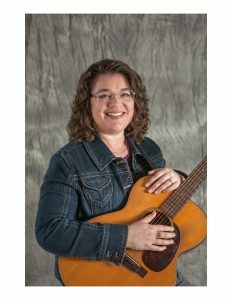 Jennifer began her career as a Music Therapist in 1994, after completing a Bachelor of Music degree, with an emphasis in Music Therapy, at Willamette University and her clinical internship at Philhaven Hospital in Mt. Gretna, PA. Because the Board Certification exam was only offered once per year, she became a Board Certified Music Therapist in 1995. Though mental health was the initial focus of employment, she soon had a full-time job working in skilled nursing with older adults. Being employed in the same city as the University of the Pacific, she began providing fieldwork supervision early in her career, which remains a passion of hers. Jennifer worked at a psychiatric hospital while completing a Master of Arts degree, with an emphasis in Music Therapy, from UOP. She returned to working in facilities with older adults then established her private practice in 2000 as Geiger Consulting Music Therapy Services in the San Francisco East Bay area, California. Jennifer is a frequent presenter at regional and national conferences as well as through local/community organizations. Her interview on being a music therapist with older adults was published in 101+ Careers in Gerontology, 2nd Edi (Grabinski, 2015). She contributed information for a chapter on music therapy in 7, 8, 9 Poetry, Song & Rhyme: Listening, Language & Learning (Neufeld and Shawkey, 2010). Her work regarding the Music & Memory℠ program resulted in the development of researches featured on www.musictherapy.org and participation in a Music Therapy Roundtable podcast. Jennifer had the privilege of testifying in front of the Senate Committee on Business, Professions and Development for AB 1279 in 2015. As AMTA President, Jennifer provided a Presidential Address at five of the seven regional conferences this spring; presented 5 concurrent sessions on the topic of Music & Memory℠ and Collaboration with Music Therapy; and facilitated a Town Hall meeting with membership Q&A from the audience. Monthly Presidential Perspectives articles are provided for AMTA’s Music Therapy Matters. Jennifer will preside at the Mid-Year meeting of the AMTA Board of Directors at the end of June. Jennifer continues to be a regular guest lecturer for music therapy courses at both the Stockton and San Francisco campuses of the University of the Pacific on the topic of Music Therapy with Older Adults. In honor of 15 years in private practice, Jennifer is launching a new website: www.MusicTherapyAdvocate.com. Jennifer lives in her hometown with her daughters and husband, who is in Law Enforcement. Self-care is a priority and includes walking, reading, watching movies, kayaking, traveling, and spending time with loved ones. Patrick K. Freer is Professor of Music at Georgia State University. He is a former Interim Director of the School of Music. He holds Affiliate Faculty status with the Institute of Women’s, Gender, and Sexuality Studies. He is Past Chair and Chair-Elect of the NAfME Gender & Sexuality Special Research Interest Group. His degrees are from Westminster Choir College and Teachers College, Columbia University. He has guest conducted or presented in 36 states and 16 countries, including the Southwest Division ACDA Junior High Honor Choir. 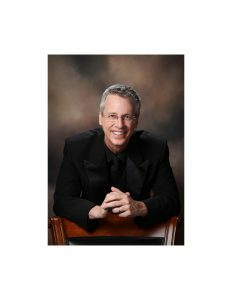 He has presented at six National Conventions of the American Choral Directors Association and seven National Conferences of the National Association for Music Education. He was keynote speaker and guest conductor for the 2015 International Symposium of Singing and Song. In Spring 2016 he conducted the National Cambiata Boys Choir, the Alabama All-State Middle School Treble Choir, and honor choirs in Georgia and Virginia. He was additionally a visiting professor at five universities in Spain and presented research at the NIME5: Narrative Inquiry in Music Education, the LGBTQ Studies in Music Education III, and the Gender, Bodies & Technology conferences. He was inducted into the Westminster Choir College “Music Education Hall of Fame” on March 5, 2016. Dr. Freer is Academic Editor and Chair of the Editorial Committees for Music Educators Journal and has authored multiple book chapters and over 120 articles in most of the field’s leading national and international journals. Dr. Freer’s research focus is on the sociological and pedagogical factors impacting the singing of boys during and beyond the adolescent voice change. Amber Weldon-Stephens, EdS, MEd, LPMT, MT-BC is the department chair and internship director for the Music Therapy Department with the Fulton County School System in Atlanta, Georgia. She started the program 26 years ago and now it is one of the largest music therapy departments with 14 therapists on staff, serving 65 schools and has trained over 75 interns. Amber holds a bachelor’s degree in Music Therapy from the University of Georgia, a master’s degree in Multiple and Sensory Disabilities from Georgia State University and a specialist degree in Special Education Administration from the University of West Georgia. In 2000 Amber was selected as Fulton County Schools Teacher of the Year. Amber has served as the President of the Music Therapy Association of Georgia; President of the Southeastern Region of the American Music Therapy Association. ; President-Elect and Vice President of the American Music Therapy Association; President of the University of Georgia Redcoat Band Association and President of the Kell High School Band Boosters Association. Amber currently teaches part time at the Kennesaw State University and with Drum Majors in the summers at the University of Georgia. Amber has two great teenagers and a wonderful, supportive husband! Dr. Melita Belgrave received her bachelor’s degree in music therapy from Michigan State University. 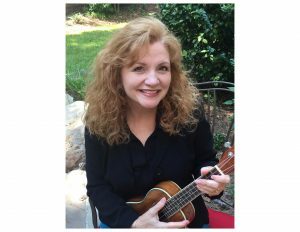 She also earned her master’s in music therapy, a certification in aging studies, and Ph.D. in music education with an emphasis in music therapy at Florida State University. Belgrave has worked as a music therapist in special education, mental health, rehabilitation, hospice, geriatric, and intergenerational settings throughout Texas and Florida. Her research interests are music therapy with older adults and intergenerational programming. She has presented at regional, national, and international conferences, and her research has been published in the Journal of Music Therapy and Music Therapy Perspectives. She recently co-authored the text Music Therapy and Geriatric Populations: A Handbook for Practicing Music Therapists. 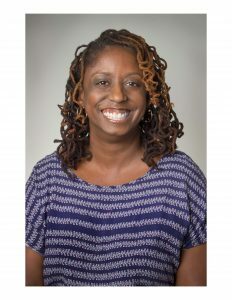 Her current service includes: at-large member for the Academic Program approval Committee, co-chair of the Diversity and Multiculturalism Committee for the American Music Therapy Association, and commissioner for the ISME Commission on Music in Special Education and Music Therapy.